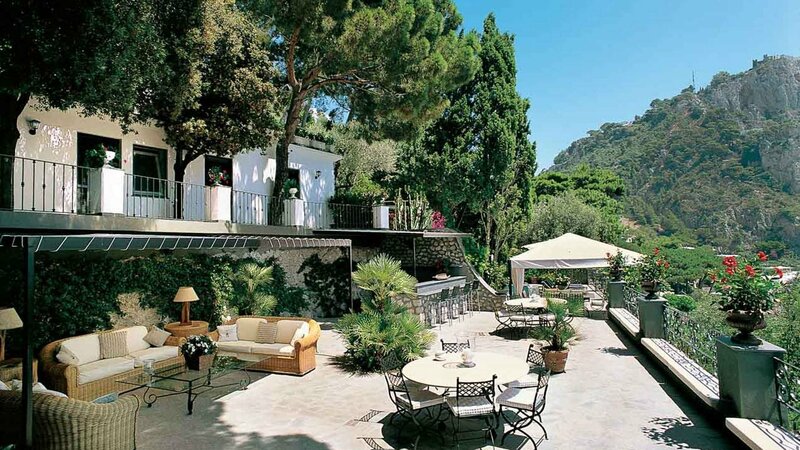 Those familiar with Capri will know that this beautiful island is not an easy one to get around. 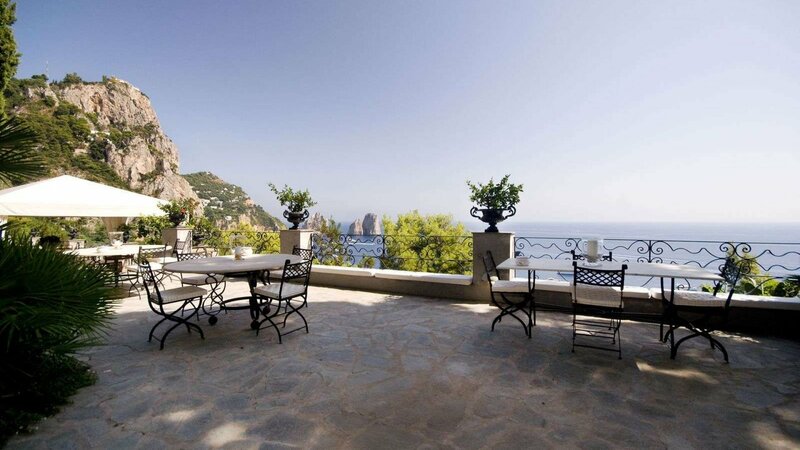 Few properties are easily reached without the trials of steep slopes and endless steps. Some are only accessible on foot. The Piccolo Eremo is blessed with countless privileges and comforts on this account. 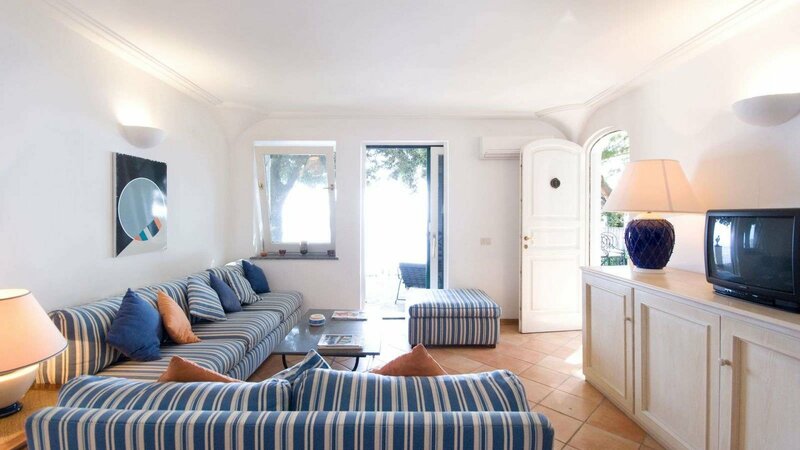 The villa is easily accessible both on foot (by crossing the famous little piazza, full of colourful Mediterranean flowers and plants), or by car (there is a car park in the villa’s grounds). 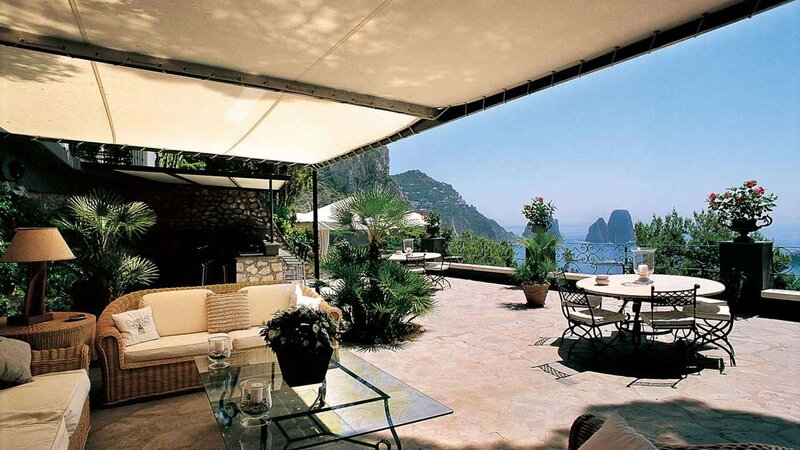 The luxurious villa looks onto the Faraglioni, two enormous vertical rocks protruding from the sea, symbol of Capri and often seen in the postcards of Capri. 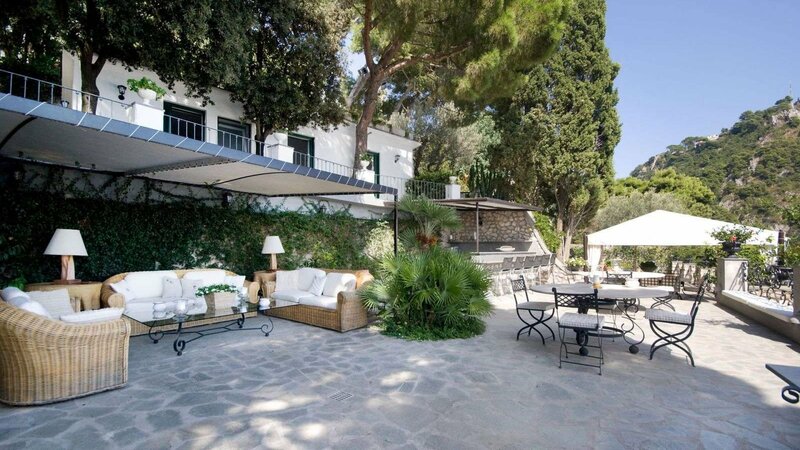 The wonderful terrace-garden to one side of the villa has an elegant lounge area, an open-air kitchen, a gazebo with dining table to eat ‘al fresco’, and an unusually shaped swimming pool. 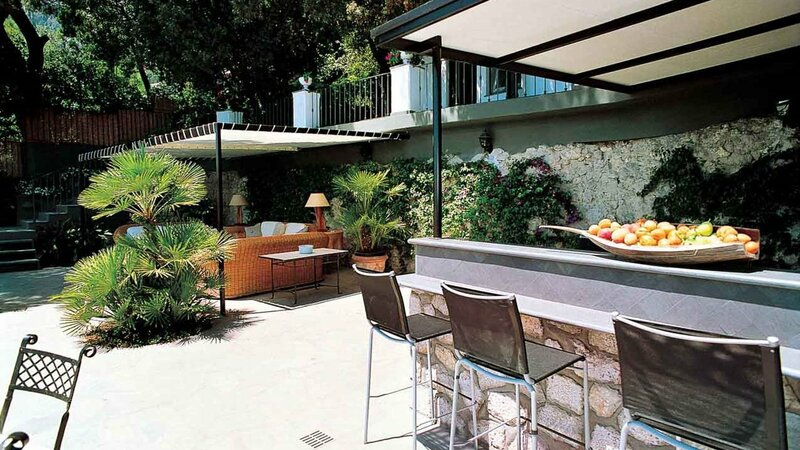 Piccolo Eremo consists of two separate buildings sharing a panoramic terrace and all the outdoor facilities. 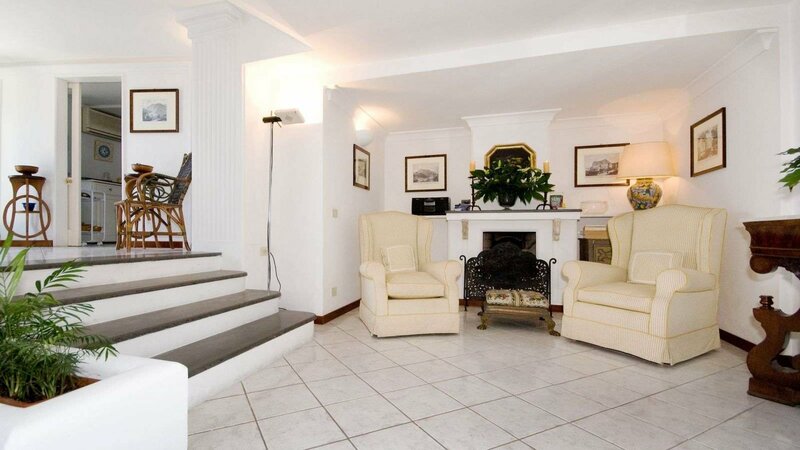 The property has been recently refurbished and is in immaculate condition. The furnishings are elegant and of a high standard. 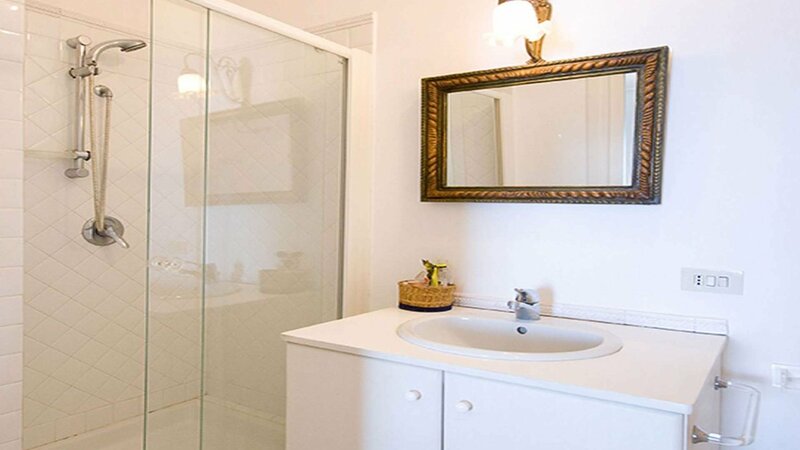 The bathrooms are new and comfortable; all rooms have a sea view. For those who prefer the beach to the pool, the best sandy beach is within walking distance, in Marina Piccola, where there is also a restaurant and bar. They provide sun-loungers and umbrellas. spacious and luxurious unit located right on the poolside. large living/dining room. 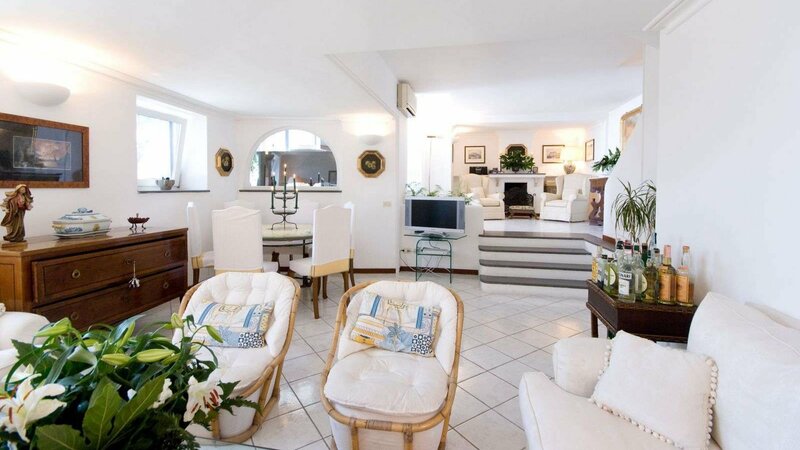 Elegantly furnished, with direct access to the pool. 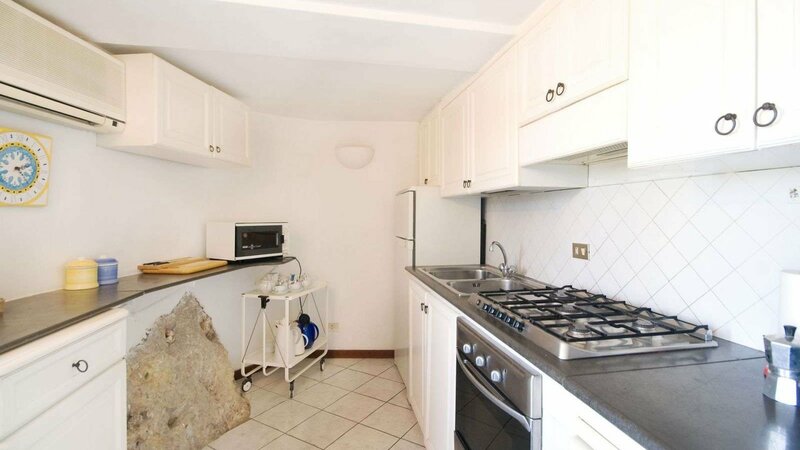 Kitchen with microwave oven. bedroom 1: double bedroom (bed size 160cmx200cm, convertible into twin) with en suite bathroom with bath tub plus extra hand held shower. 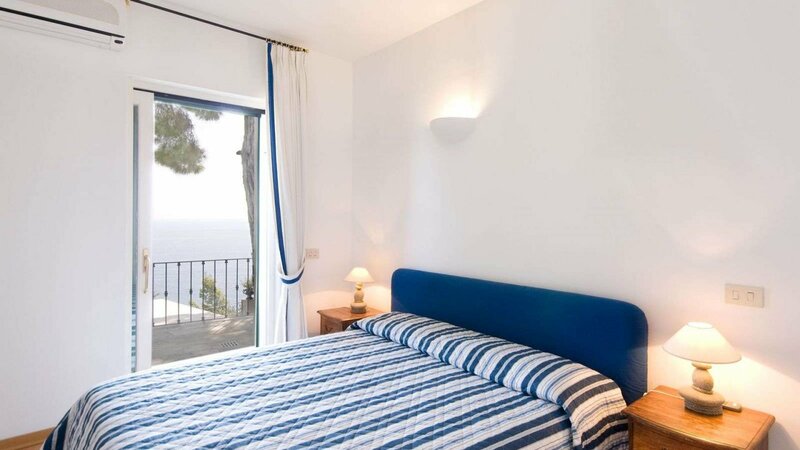 The bedroom has sea view. bedroom 2: double bedroom (bed size 160cmx200cm) with en suite bathroom with shower. 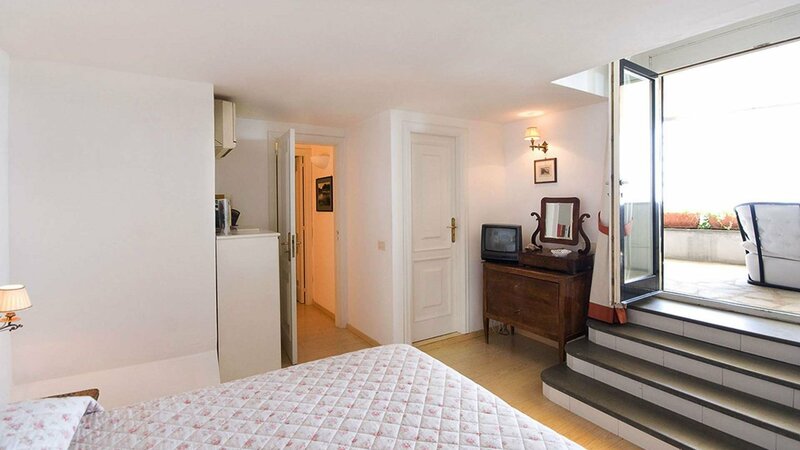 The bedroom has a private terrace. living room and storage room. 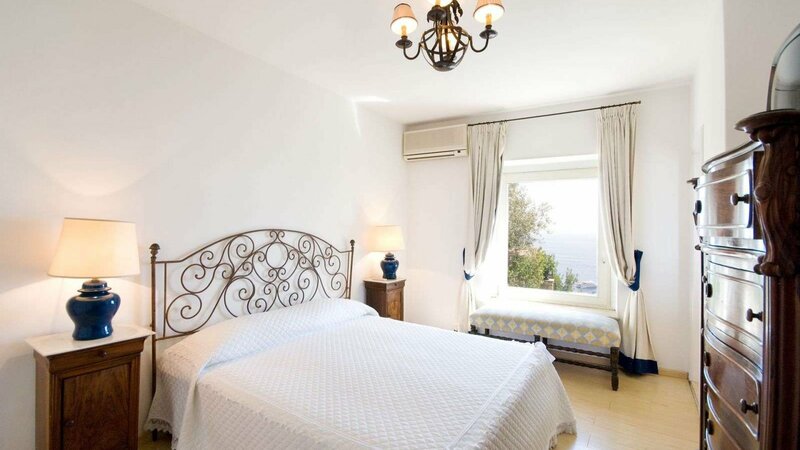 bedroom 3: double bedroom (bed size 160cmx200cm) with sea view. 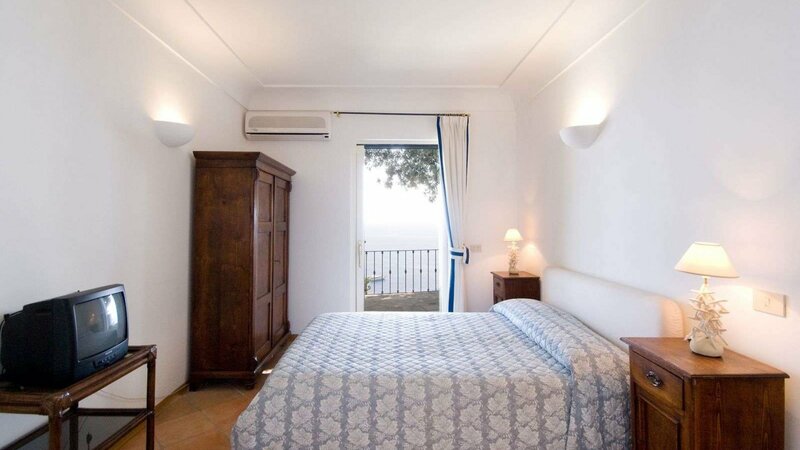 En suite bathroom with bath tub (plus extra hand held shower) to be shared with bedroom n. 4.
bedroom 4: double bedroom (bed size 160cmx200cm) with sea view and bathroom shared with bedroom n. 3.
large terrace with panoramic views. 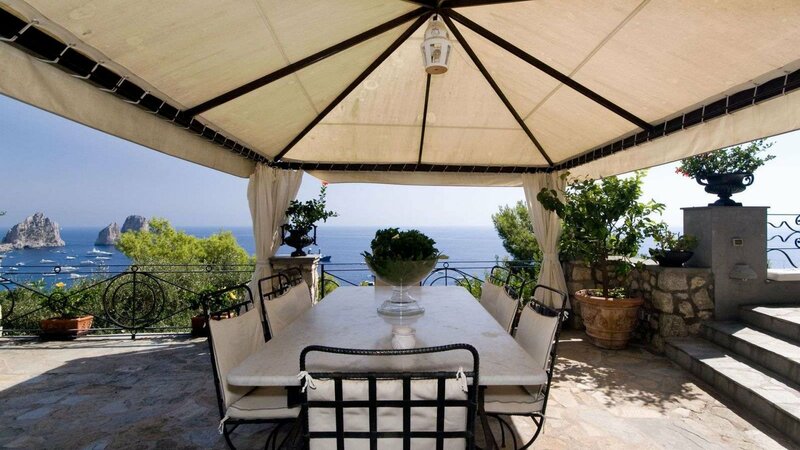 Steps leading down to a very large terrace-garden with swimming pool, open-air kitchen, lounge area, and dining table. supermarket and restaurant at 200mts, banks, bars, other restaurants at 15 min walk or min drive, closest beach with beach clubs and restaurants 15 min walking down or 5 min through walk down stairs. 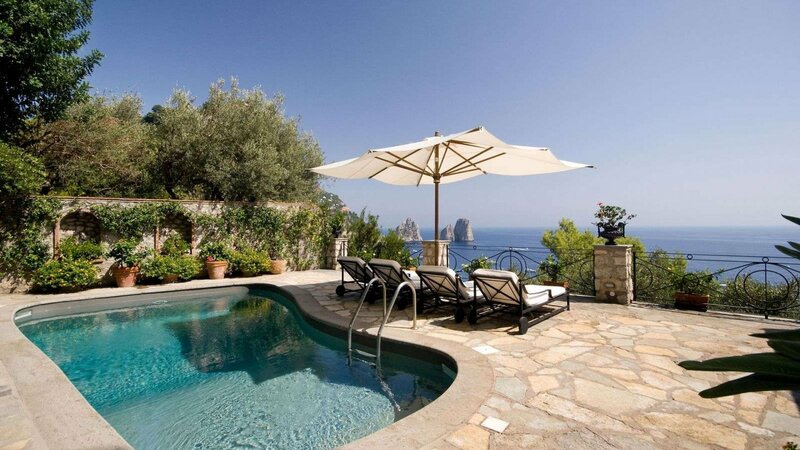 Concierge service, daily maid service excluding Sundays (3 hours per day up to 4 guests, 5 hours per day up to 8 guests), electricity up to 330kwh, change of linen on Saturday and midweek, change of towels every other day, final cleaning on Saturday, heating, air conditioning, telephone (only local calls to Capri). shopping fee starting from 30 Euro, any extra services not specified. main square 20 min walk, Naples 25km/15,5miles, Rome 260km/161miles. airports: Naples 52km/32miles, Rome 260km/161miles.